Rated 3 out of 5 by nariiska from No mystery here I found this game to have more bark than bite. The description of the game was oversold and thus created a slow, dull and sometimes boring adventure. Rated 3 out of 5 by pennmom36 from JUST ANOTHER MEDIEVAL SORCERER During the14th century, the plague known as the Black Death, swept through Europe, killing millions of people. The plague was merciless, and its victims suffered immense and unbearable pain before succumbing to death. There was little the Plague Doctor's could do to ease their patients suffering.Death was inevitable. The Black Death was unstoppable. After losing his entire family, Moro made the moral decision to search for an alternative form of medicine, Dark Magic. It wasn't long before Moro was accused of heresy by the Inquisitor's, and burned at the stake. Moro vowed to return one day, stronger than ever, and now he had indeed returned! Put on your Magic Glasses that let's you see past events, it's time to investigate the return of yet another angry sorcerer from a Plague ridden era. Everything about this game is predictable and impractical, from the moment you begin your investigation....at the European Museum of History, because that's where all evil sorcerers are reborn. This game has everything you already know it's going to have, a briefcase sitting on a park bench, that has a patch with something important sewn inside (why would you do that?) AND an old fashioned hairpin. Turn around, you know there's going to be a bulletin board nearby, complete with a crow playing the "mine" game, and of course an object wedged partially inside it's only crevice. Keep searching, you know there's a broken zipper pull, and something mysteriously hidden within the bushes, bushes that of course have thorns. By the end of the game my inventory items consisted of items that I knew exactly what I would use them for, a glass shard, paperclip, eyes, and yes, acid! Of course, you haven't learned from your past mistakes, and you will pick up a pile of Notes, that the wind will immediately scatter throughout each of the games locations, and amazingly, there's only 1 page per scene! This Collector's Edition version has 15 Morphing Cursed Items and several Coins to collect that allows you to purchase virtual items for your Cursed Items Exhibit. Both collectibles have an Icon located on the top of the Inventory Bar. 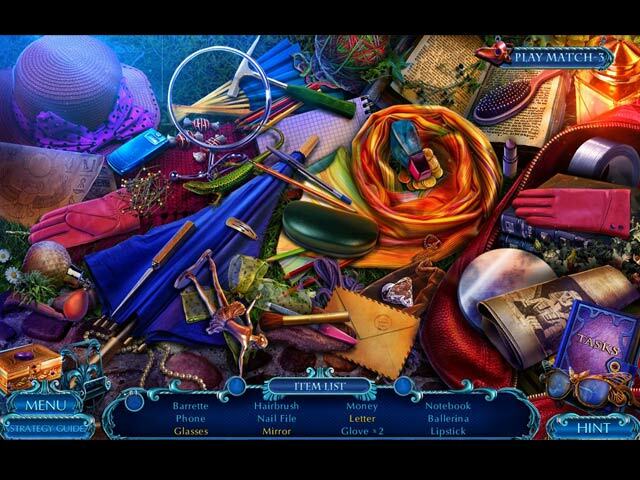 The Hidden Object Scenes are varied with Interactive List finds, Interactive Silhouetted Shape finds, finding and replacing Keywords in Sentence finds, with an optional Match 3 alternative game to play. 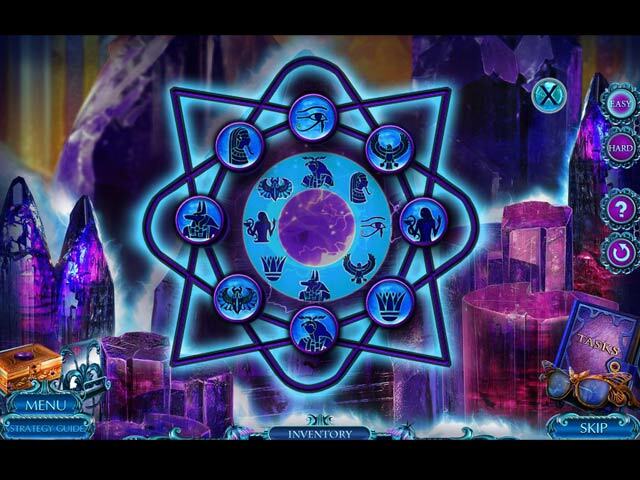 The Mini Games have the option of an Easy or Hard Mode to choose from, but even on the hard mode, most of them are doable on the first attempt. Below are brief descriptions of some of the games you'll encounter during the demo: 1-Use directional arrows to rotate tiles to reassemble the picture. 2-Choose two sections of the lock teeth to swap along the top and bottom. 3-Connect the tiles with the specified number of connections for each tile. 4-Move flags along the lines to their correct outlined shapes. 5-Use the clue to turn the correct slots green, press arrows to rotate the clock hands. 6-Move tokens to their color coded slots without overlapping lines. 7-Rotate tiles to connect folders. 8-Remove all tiles by selecting 2 identical adjacent tiles. MYSTERY TALES GAMES AVAILABLE Title***Collector's Edition Release Date***Average Rating 1- The Lost Hope (January 25-2014) 4.0 2- The Twilight World (January 29-2015) 3.5 3- Alaskan Wild (August 24-2015) 3.8 4- Her Own Eyes (February 18-2016) 4.1 5- Eye of the Fire (September 29-2016) 3.4 6- The Hangman Returns (January 26-2017) 3.7 7- The House of Others (June 29-2017) 3.8 8- Dangerous Desires (October 14-2017) n/a This Collector's Edition has 10 Concept Art pictures, 14, Wallpapers, 5 Music Soundtracks, 17 replayable Hidden Object Scenes, 16 replayable Mini Games, 35 Achievements to earn, 15 Morphing Cursed Items, 51 Collectible Coins to buy 15 Cursed Items for the Exhibit, Missing Note Pages, a built in Strategy Guide and a Bonus Chapter. Rated 2 out of 5 by Granny_Gruff from Same Old, Same Old Olivia calls you to come to the museum where she is setting up a new exhibit. She feels something is wrong and wants your advice. You arrive in time to talk to the custodian after he is thrown from a balcony and just before he turns to stone! You whip out your special glasses and see into the past to help you unravel what is going on. Apparently, this time it is an evil doctor named Moro from the middle ages. He lost his family to the plague and tried to use black magic to bring them back. He was burned at the stake for the use of black magic and threatened to return as the flames crept up. He’s baaack! And you get to stop him, if you can. Good stuff: The usual game elements are here, along with those special glasses that not only show you scenes from the past, but also allow you to reach into those scenes and retrieve items you need. The HOPs have a Match 3 alternative. Most of the mini-games/puzzles have a choice of easy or hard. There are morphing items and collectible diary pages that will tell you the story of Dr. Moro, along with some other CE bling. Bad stuff: As we’ve seen with previous Mystery Tales games, the artwork is highly colored, except when you use those special glasses, when everything is hazy blue. The music comes and goes at its own whim. Moro wears a perpetual scowl, but everyone else seems to be without emotion. Olivia’s initial phone call was singularly lifeless and, even when she was confronting Moro’s ghost, she was very preternaturally calm. The closest you’ll come to emotion is Larry, hiding in the storage room with the safe. He rustles up a bit of urgency when he tells you Moro has found you both! I’d tell you about all the logic flaws that abound in this game, but as it has so much we’ve seen in so many other games and little else to recommend it, I leave you to find them yourself – it’s the only fun you’ll get here! One hint: Keep an eye out for the little bags of gunpowder left out in an exhibit! Please check out the Demo for the same old everything! Rated 2 out of 5 by flutterbyz24 from Plague Me Not I managed to play this game for 20 yawn-inducing minutes and finally gave up. In that time frame I think there were 4 puzzles and one HOP. I toyed with 2 puzzles and then skipped them. I just wasn't that excited about them. Reaching into ghostly "left-over" apparitions to retrieve objects? Seriously? The challenge of the puzzles is good - I just was too bored to appreciate them. I simply do not like this game. I've always been on the fence about Mystery Tales. Some I have enjoyed and some not so much. I will not be purchasing this one. Try it - it may be your cup of tea. I won't be partaking of this pot however. Rated 2 out of 5 by mmdgaston from Puzzles everywhere... if you love puzzles,then this is your game...........so many.......and the same old storyline......seems at every turn another puzzle to solve, before moving on to...yet again, to solve another..puzzle.....try the demo. Rated 2 out of 5 by jaba2x2 from Puzzle after puzzle Within the minute of playing this game was a puzzle. I buy these games for hidden objects..hence HOG. If I want to play puzzle games I will but Puzzle games. Rated 2 out of 5 by Sara6777 from 2.5 Stars....SO Predictable! Come on....Really?! I am not this Devs #1 fan, but I couldn't even play the demo longer than 20 mins before deleting. Everything about this game was either ridiculous (story line) or predictable (inane tasks)...I just could not go on. As always, try the demo for yourself! Might be a great game for a beginner who hasn't worn out the zipper-pull task...I certainly have! Rated 2 out of 5 by saklr1 from Not Bad - But Horrible Collectibles "Cleverly hidden collectibles" Yeah not so much. Why is it hard to make a game with collectibles that are challenging to find? Rated 2 out of 5 by biscuitsmama from AN EXERCISE IN REDUNDANCY Mystery Tales Dangerous Desires is game number eight in the series. Imagine eight games since the series began in 2014 with basically two games per year BUT there have been three games since January of 2017. Domini has recently become a prolific game developer, with the Mystery Tales series only one of the many that it brings to market each year. So with this rate of production something has to suffer and it finally becomes totally apparent with this game. If you have played Domini’s recent games then you will see the recycled scenery, the rehashed storylines, puzzles and HOPS. There is really nothing new about this game, and within minutes Dangerous Desires is nothing but an exercise in boredom. I am guessing that this developer uses the concept art from their recent games and only changes a few items to make each game specific to a particular storyline while everything else remains the same. As far as storyline, we have the same old evil mage or wizard who wants to avenge some perceived injustice and then either take over the world or destroy it. Dangerous Desires screams same old, same old from the beginning scenes where we must find the same old items and use the same old tools to find them. The puzzles are the same old puzzles, with the same old HOP scenes. 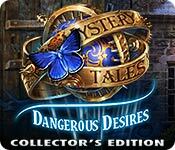 The release today of Dangerous Desires is a Collector’s Edition release and yes, there are the same old morphing objects and the same old collectibles. The Strategy Guide is just an updated version of one from previous games. At one time I thought that this developer would be a bit different than others but unfortunately they have jumped on the BFG bandwagon of creating game after game after game, and in the process I have seen this developer’s creativity decline. In the end I must at least recommend that you try the demo to see if you perhaps find this game to your liking. Happy gaming! Rated 1 out of 5 by Janetto from Puzzles, Puzzles, Puzzles How this game made it into the Hidden Object genre, I'll never know!!! If you like playing puzzles and not much else, then this game is for you. 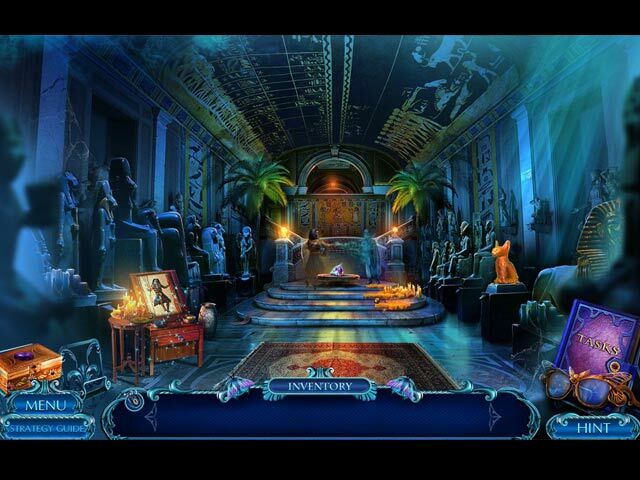 It's simply one puzzle after the next, with a Hidden Object Scene upon rare occasion. And why don't the developers offer the Match 3 option for puzzles??? Now that's a mystery. It's a Hidden Object game to be played for hidden objects; yet the Match 3 option is given instead of playing the Hidden Object Scenes. It makes no sense. I won't be spending my money on this dud.